LOA is operated under the direct supervision of the 3 funding agencies CNRS, EP and ENSTA, the partners of the UMR. In addition, several coordination structures participate in the development of the LOA research activities. 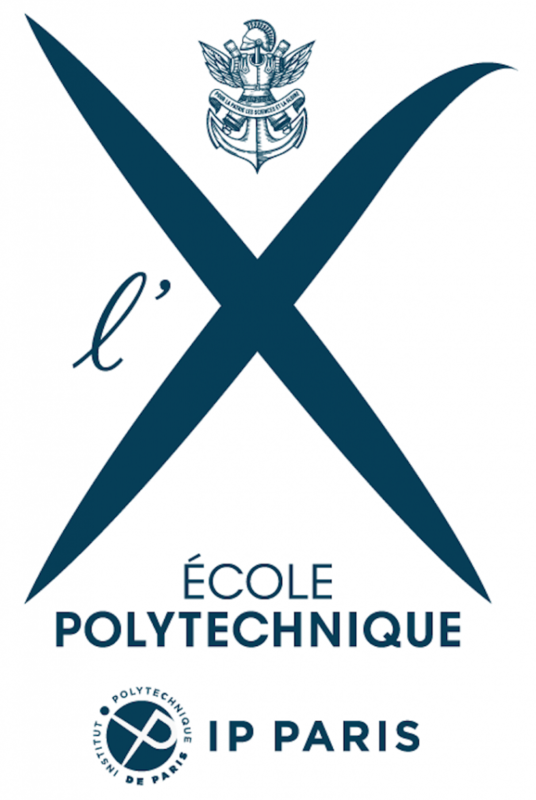 At the local level of the Plateau de Saclay, LOA has participated actively in the construction of the University Paris Saclay. It belongs to the department PhOM (Physics of light and Matter) which gathers 37 laboratories concerned with the physics and engineering of diluted, ionised and condensed environments. Among the 7 scientific axis of the department, LOA teams are mainly part of Axis n°4 related to Extreme light (intense lasers, ultrafast sources, laser-matter interaction and secondary sources). The Department PhOM acts as a place for reflection, for interdisciplinary exchanges, for the development of strategic proposals particularly on emerging issues. PHOM establishes also within the communities it represents, a consultative process for proposal harmonization for the different national and local calls like PIA, Ile de France, CPER. Since the decision from the French government to create the University NewUni, LOA will move to this coordination structure in 2019. 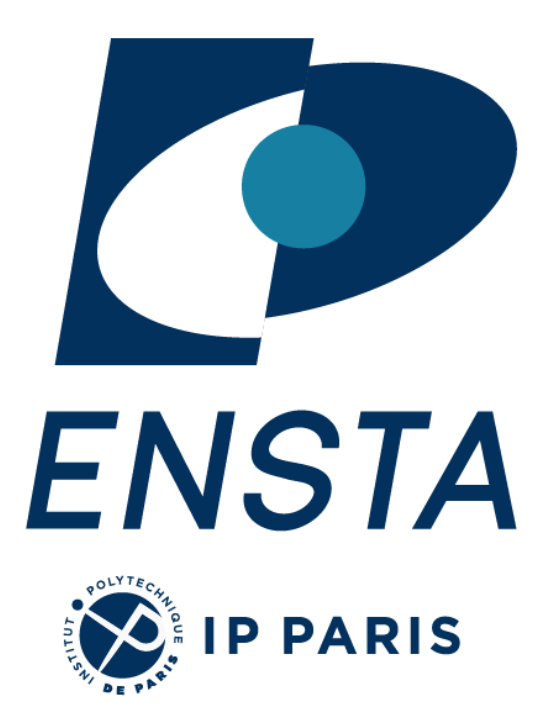 NewUni gathers 5 partners: Ecole Polytechnique, ENSTA-ParisTech, Telecom Paris-Tech, Telecom Sud-Paris, ENSAE and will have a joint collaboration with HEC. LOA will be part of the Faculty of Natural Science & Mathematics and the Faculty of Engineering Science. It will be also one of the main partners of the Institute for Plasma Physics gathering several laboratories of NewUni. NewUni has defined 5 priority axes corresponding to current major societal transitions among which Plasmas, and their uses in multi-disciplinary fields, have been identified as a leading topic. LOA is greatly involved in the Investissement d’Avenir Programs (PIA) as described beyond in the “Politique scientifique” section. LABEXs are efficient forums for exchanges with the adding opportunities to promote and fund specific research programs recognized by the LABEX and IRS committees, among which LOA participates, of the highest interest for the research development within the Plateau de Saclay. On the other hand, the 2 EQUIPEX ATTOLAB and CILEX-APOLLON allow to develop state of the art large scale (and cost-effective) scientific equipments in line with international standards in ultrafast laser-plasma science. LOA is part of the steering committees and play an important role in the structuring of the coordination and monitoring of the construction activities, the scientific policy and strategy, the construction of beamlines, the operation of the beamlines, the implementation of a user program, and the further development of the facility based on a vigorous research and development program. At the national level, several coordination structures have been set and participate in the overall research organization of the laboratory. At first, the Lasers and Plasmas Institute (ILP) coordinates, at the national level, the studies on plasma physics and those concerning the physics of high energy and high power lasers. These two major fields cover many activities carried out in several tens of laboratories located in several regions of France. This Research Federation aims at building a community on long-term programs and gathers around 30 groups and 250-300 scientists. The main missions of the Lasers and Plasmas Research Federation are to provide scientific animation, coordinate and promote activities in the field of high power lasers and / or plasmas generated by this type of laser, ensure at the national and international levels the visibility of these scientific fields and the relevant laser installations, contribute to the expansion of the French scientific community in the field of lasers and plasmas. Recently, two “Groupement de Recherche” (GDR networking) have been launched to specifically focus on high density energy (GDR HDE) and ultrafast phenomena (GDR-UP) topics. 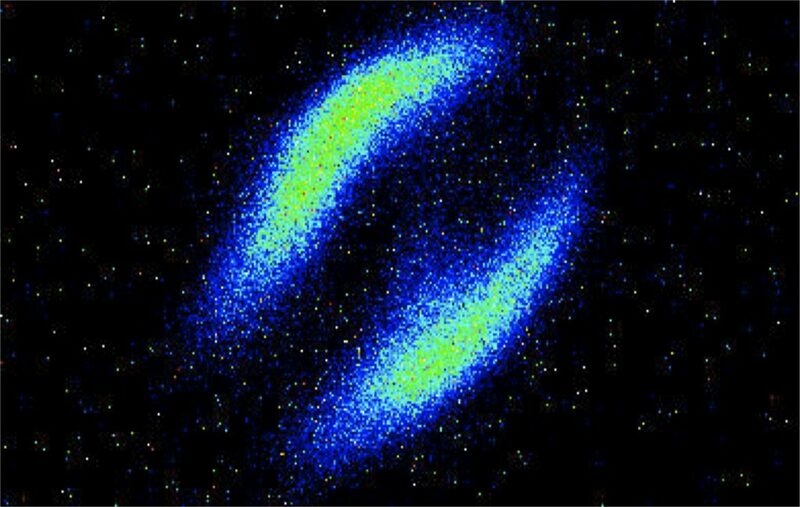 GDR-UP is dedicated to the study of matter at ultrashort time scales. It brings together the French community of experimenters and theorists interested in phenomena at time scales Attosecond, Femtosecond and Picosecond and intervening in all states of matter (more than 350 participants and more than 80 research teams spread over more than 40 laboratories all over France). The objective of the GDR-HDE is to coordinate and animate the activities of national teams working in the field of high energy densities in the context of power laser installations. It brings together more than a hundred researchers and engineers in 17 research units. It focuses on the laser-plasma physics and the matter under extreme conditions with regard to density and/or temperature. The mission of this GDR is to allow teams to come together to pool their efforts and define a strategy that accompanies changes in physics and facilities. Furthermore, a third GDR (GDRI-XFEL Science) aims to structure the French community interested in using X-ray Free Electron Laser sources, to strengthen its national and international visibility and thus to strengthen the international field of XFEL science in general. This program is closely related to the application of the laser-based secondary sources provided by our laser-plasma facilities. The network therefore aims at facilitating for French scientists to initiate and lead new collaborations or to strengthen existing ones. LOA has numerous international partnerships supporting our research developments. We collaborate with more than 30 laboratories and institutes worldwide and have strong links with large scale infrastructures like with ELI-ALPS in Hungary and ELI-Beamline in Czech Republic, 2 of the 3 ELI large scale infrastructures now under construction in Eastern Europe. We are participating actively in the development of carefully selected beamlines through contracts and scientific & technical committees within several departments of these Facilities. LOA is also part of the consortium LASERLAB-EUROPE (LLB), a group of leading European laboratories working on the development of femtosecond laser systems and the use of ultrashort laser pulses in various scientific fields: physics, chemistry, biology, medicine. It is an interdisciplinary European network of laboratories and competitive national lasers with the goal to strengthen Europe’s leadership in laser research and applications through the development of joint research activities, to propose a program of transnational access facilities lasers various partner laboratories, and to assist national laboratories to develop their research infrastructures at national and European level. 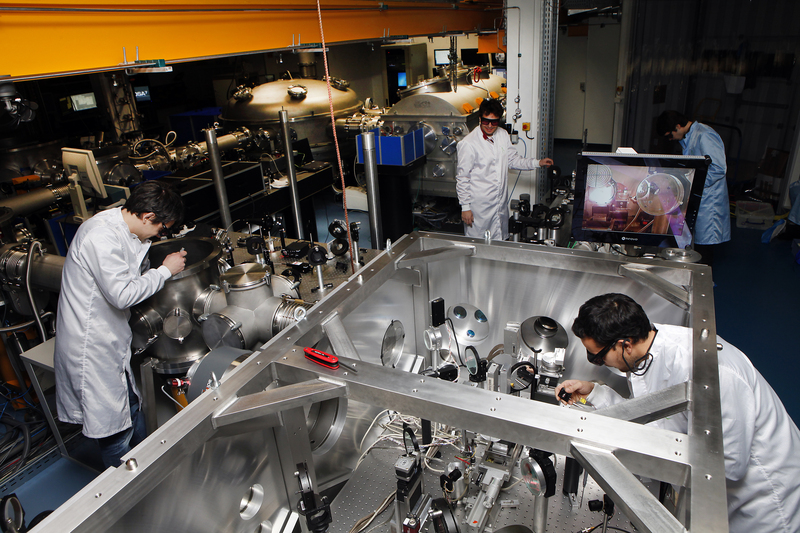 Some laboratories like LOA participating in the consortium are funded through a program of transnational access to research infrastructure and laser applications for researchers or research teams belonging to the EU member states and the associated states. DESY (Germany); the objective is to establish the legal framework for the cooperation for the development and use of table-top soft X-ray lasers and novel x-ray optics for basic and applied research and the operation of experiments with such sources and optics including coherent x-ray diffraction imaging. OCE (Shanghai Key Laboratory of Modern Optical System, School of Optical-Electric and Computer Engineering, China); we wish to enhance relations between the two institutes, to develop academic cooperation in the area of research and education, to cooperate in the development of air laser pumped by femtosecond laser for basic and applied research and the development of experiments with intense Terahertz radiation source based on air plasma pumped by femtosecond laser pulses. M.V. Lomonosov Moscow State University (Russia); the objective is to establish an International consortium on terahertz photonics and optoelectronics as an informal association of leading scientific, educational and research organizations engaged in education, research, development and possible applications using terahertz waves. HZDR (Germany) and WIS (Department of Physics of Complex Systems Faculty of Physics, Weizmann Institute of Science, Israel); the objective is to promote academic collaboration for researchin the area of laser based particle and radiation sources for medical applications. It will be directed towards Research Staff and Student exchanges and Promotion of joint research. SOLEIL Synchrotron (France), joint project on the generation of Free-Electron Laser based on laser-plasma particle Sources.